A forthcoming documentary, “Thai Stick: Surfers, Scammers, and the Untold Story of the Marijuana Trade” about the War on Drugs by the filmmakers behind Twenty Feet From Stardom will shed new light on just how far things went – and how far things still yet have to go. The folly of the long-waged War on Drugs has been well-documented, particularly when it comes to cannabis. Now a forthcoming documentary by the filmmakers behind Twenty Feet From Stardom will shed new light on just how far things went – and how far things still yet have to go. Before becoming a war-crimes investigator in Cambodia, acclaimed historian and author Peter Maguire saw his fair share of cannabis.”I grew up in Southern California in the early 1970s, and Thai marijuana was everywhere, and surfers played a big role in the trade,” Maguire told The Stoner’s Cookbook. Maguire’s research into the deaths of those four Americans led him to co-author a book on the cannabis trade between Thailand and the U.S., Thai Stick: Surfers, Scammers, and the Untold Story of the Marijuana Trade. Along with his co-author, Mike Ritter, Maguire’s research made the book an instant classic that caught the eye of documentary filmmakers around the country. Following Slater onto the project were two of the filmmakers behind the Academy Award-winning music documentary Twenty Feet From Stardom. Though there remains a great deal of work to be done on the project, Maguire already has plans for the message that he intends for it to send: That efforts to halt the use and sale of cannabis has been ineffective, and in some cases has even backfired. This notion that cannabis remains a benign substance is not new: the National Institute on Drug Abuse, among other institutions, has debunked the notion that cannabis serves as a gateway drug, while other studies rate it among the least harmful of drugs. And with cannabis sales climbing exponentially as cannabis laws soften, Maguire imagines he will see as much cannabis floating around that he did in his early days in California. 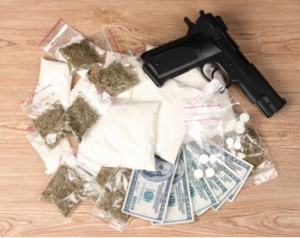 Have you been negatively impacted by the War on Drugs? If so, how? Let us know your thoughts on our social media or in the comments section below.